There are countless health and wellness benefits associated with swimming. It is a fantastic all-round exercise that can aid mobility, fat loss, and body strengthening. Studies have linked regular swimming routines to reduced risks of disease and illness, particularly cardiac conditions. However, these benefits remain at the mercy of the facility’s technological capacities. The benefits of swimming can be far outweighed by the potential health risks associated with poor sanitation in recreational water. Recreational water filtration is conducted by pumping water out of a pool and forcing it through a permeable membrane, or a container filled with granular media. Polyvinyl pipes are typically used to facilitate a flow of water from the pool to the filtration unit. Poolside grating is also used to collect standing water and redirect into the circulating system. Fiberglass products can be used ubiquitously at every stage of this process. Pultruded grating can be installed poolside to provide a slip-resistant drain for standing and overflowing water, while additional fiberglass products can be used to house noisy and bulky filtration systems away from the aesthetic area of a leisure facility. The size and scale of these containers vary depending on the technology at work in the filtration system. Sand filters are the most typical tools used to extract particulates and harmful compounds from water at pressure. Once filtered, water can be recirculated back into the pool environment. The problem with conventional sand filters is that granular media fails to provide an effective barrier against tiny microorganisms that can be harmful to human health. An average swimmer can contaminate a pool with billions of skin microbes, half a kilogram of sweat, and as much as a cup of urine. Sand filters are incapable of removing these tiny contaminants due to their large porous structures. 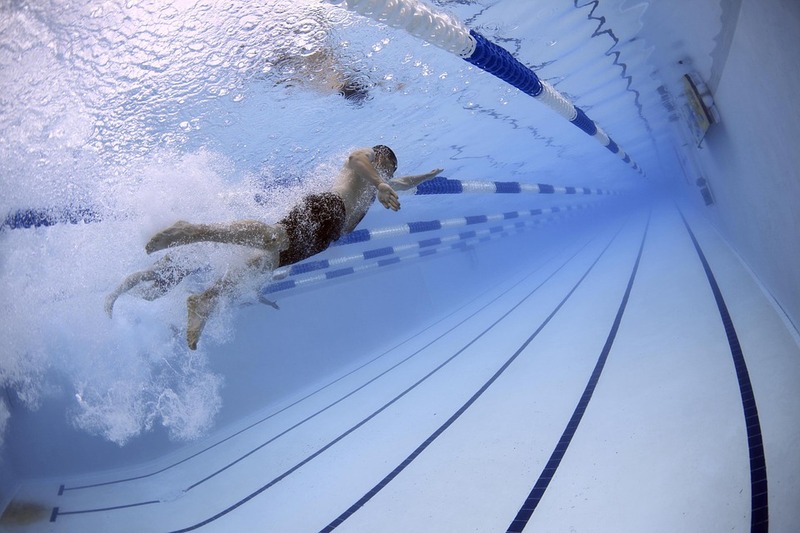 To counteract the organic contamination of pools, leisure facilities typically treat pool water through a two-step cycle of filtering and disinfection. Sand filters clean the water of large particulates while chemical disinfection is used to kill bacteria and pathogenic material. Chlorine is the primary chemical cleaning agent used to disinfect pool water. Fiberglass products are chemically inert, offering inherent resistance to chemical attack by chlorine and its compounds in pool water of pH 7 – 8. Stainless steels, by comparison, suffer from a unique corrosive phenomenon known as stress corrosion cracking (SCC). We previously covered Corrosion Resistant Material for Recreational Water and the SCC resistance of fiberglass products in greater depth. Yet the corrosion-resistant properties of fiberglass products represent more operational benefits for leisure facilities when considering their utility applications. A Strongwell customer utilized various fiberglass products to construct a chemical storage shed to house a 300-gallon tank of liquid chlorine and two 50-gallon tanks of muriatic acid. This was instrumental in pool disinfection and maintaining its optimal pH level. The shed significantly outperformed the previous wooden containment unit, while reducing the noise produced by the tanks and helping to maintain a relaxing atmosphere. Strongwell is one of the world’s leading manufacturers of fiberglass products for recreational water applications. If you would like to learn more about our solutions for pools and spas, simply contact us with any questions.